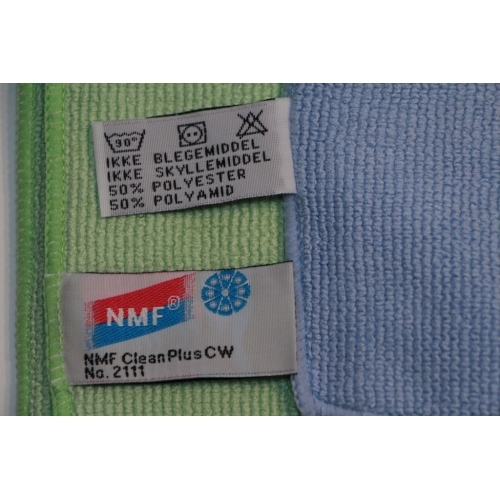 This cloth was designed by Nordisk Microfiber in Denmark. All cloths have manufacturer's embroidered label with product item number and composition. All cloths are shipped flat and unpackaged. Instructions are included. 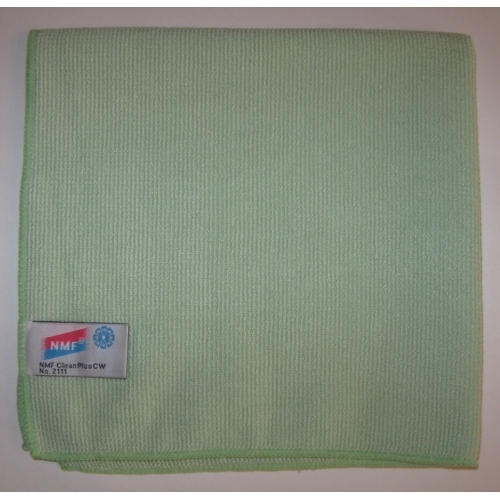 We strive to offer the best quality microfiber on the market (50% polyester/ 50% polyamide). Our featured Nordic Microfiber products are of Danish design and are new to North America, not available in stores. 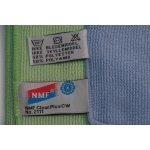 This premium knitted Nordic Microfiber (NMF) Multi-purpose/Duster cleaning cloth, was developed for dusting, general purpose cleaning and heavily soiled areas. It was designed to be used DRY for dusting & polishing. The static electricity and the fine fibers facilitate the attraction of dust and any other loose particles, keeping them trapped within the cloth fibers so you can clean longer. Use the same cloth WET for general cleaning, heavily soiled, greasy or outdoor areas. No need to use chemicals or cleaning solutions. Surfaces become so clean that new dust and dirt will not return as quickly.This cloth is highly absorbent making it great for cleaning up liquid spills and grime. This cloth removes a higher percentage of bacteria from surfaces compared to other cleaning fabrics. 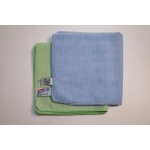 The premium Nordic Microfiber Multi-purpose/duster cloth is a thick terry type cloth. This lint free cloth is made up of hundreds of thousands of split ultra microfibers which give the cloth the ability toclean, absorb liquid andhold dust and dirt.The ultra-fine weave of microfiber strands are a mere 0.14 dtex thick (note: high quality microfiber is under 0.5 dtex). 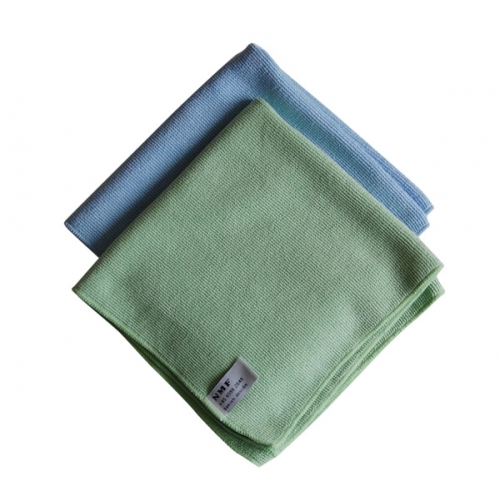 Thisclothis constructed of a woven 50% polyester / 50% polyamide blend and weave of ultra microfiber which makes this cloth the best quality and the most durable microfiber cleaning cloth on the market. The edges of the cloth are sewn with over lock stitching which greatly increases durability. This cloth has been tested and withstands more than 500 machine washes when cared for properly and is guaranteed for 3 years. Not available in stores. This Nordic Microfiber Multi-purpose/ Duster cloth was developed for dusting, heavily soiled areasand daily general purpose cleaning. Recommended areas of use are: kitchen, counters, ceramic stovetops and grease clean up. This cloth brings back the shine to stainless steel beautifully with only water. You will be amazed. Use daily in bathrooms/ washrooms to shine fixtures, sinks, showers and bathtubs. Use at home to clean TVs, computers, dustings blinds, shutters,polishing furniture, pianos, couch, chairs, lifts pet fur off furniture, pet care, shines musical instruments, golf clubs and sports equipment. This cloth is great for quick floor clean ups, soaking up spills on hard surfaces as well as carpet spots and upholstery. Use to clean all floors, hard wood, laminate, linoleum and tile. Perfect for cleaning car interiors, drying body, windows, motorcycles, boats and RV's. This cloth is a must for those who love to polish classic cars. The cloth can also be used along with car polish for a quicker shine. These cloths are developed to not only be used in homes but also in industrial areas such as hospitals, offices and commercial cleaning. Use in show rooms, cafeterias, day care centers, school, cottage, restaurants, hotels, car dealerships, marinas, airlines and hair salons,the possibilities are endless. 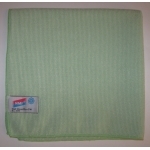 This cloth is perfect for housekeepers, auto detailers and cleaning contractors. Note: Since microfiber works so well to pick up dirt, if particles get trapped in fibers, they might cause scratches. Make sure your cloth is free of any debris before using on materials such as plastics, glass and other delicate surfaces.